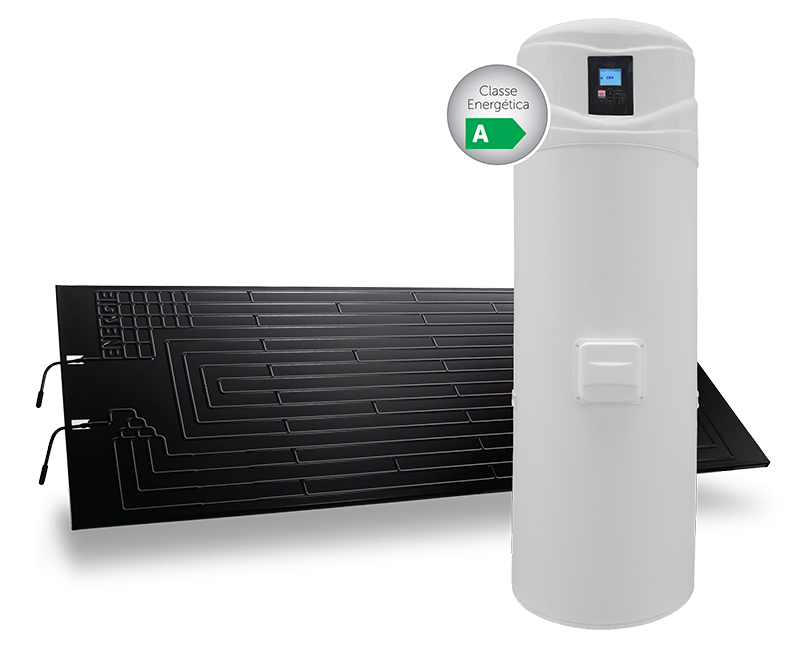 It should be noted that the Eco Top Unit is very similar to our standard Eco system, with a few small design changes on the cylinder. Performance will be on par with the Eco unit. The Eco Top Unit is our latest offering that we have brought to the table. Thermodynamic solar panels are a great way to heat your water in the Irish climate, and while our panels have stayed very similar since our first installation in Ireland in 2007, we have constantly strived to improve elements of the system performance and design. The cylinders come in 2 sizes, 200 Litre and 250 Litre options. When a cylinder is sized in a domestic residence, we make a very basic assumption of allowing 50 Litres per person per day in the home. While we don’t size cylinders below 200 Litres in this range, we always allow the extra capacity even in homes containing 2-3 full time residents. Due to the size and weight of the system, we don’t do this particular model in a 300 Litre capacity at this point in time. Our cylinders are all made of stainless steel and are insulated to an incredibly high standard, ensuring minimal heat-loss. As you can see from the image contained in this piece, the Eco Top units differs from our other models. The control centre and motor are located on the top of the cylinder. This is your compressor unit that works in combination with your solar panel, normally located on the roof. The system does consume a small amount of electricity. We have however found the system to be the most economical means of heating your water on the market. We include all other solar technologies in this comparison. Full running costs and returns on investment can be discussed with a company rep. Our experience has found that customers normally see a return on investment of somewhere between 5 and 10 years. In order to fit the Eco Top unit in your hot-press, you should have a minimum of 700mm x 700mm depth and width available in the press (once the existing cylinder is removed). If you do not have this space available, the Solar Box unit may suit your needs better.